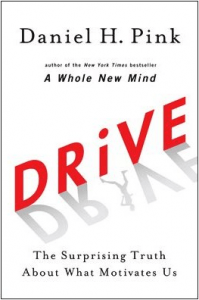 I just finished reading Daniel Pink’s Drive and I highly recommend this book for all educators. It really made me think about my work as a teacher (motivating students) and my work as a PD provider (motivating adults). our teachers to use the most effective practices? administrators to support teachers in reform efforts? the community and policy makers to support STEM education? How do we communicate the thinking of Motivation 3.0 in order to have the greatest impact? How much autonomy, mastery, and purpose do I find in my own everyday work? The New Yorker featured Drive as the March Book Club selection. You will find an interview, comments, and other useful links here.